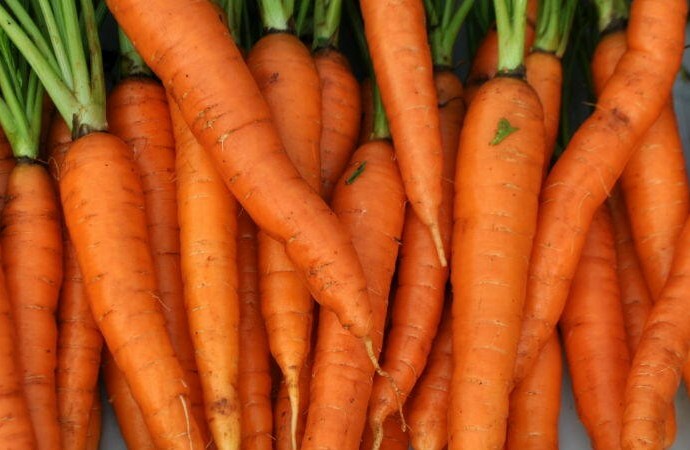 Home » Blog » Does Eating Carrots Improve Your Eyesight? You may have heard people tell you that if you eat carrots, you can improve your eyesight. Is this really true? Can you just each a bunch of carrots every day for a week and suddenly restore your vision? Toss away those glasses and contact lenses? Are carrots really that magical? The short answer to this question is ‘yes’ and ‘no’. Unfortunately, eating carrots (even buckets full of carrots) will not help a blind person see 20/20. However, eating carrots does promote good eye health. How? Carrots are full of beta-carotene which is a form of Vitamin A.
Vitamin A helps protect against eye conditions such as macular degeneration and cataracts. On the flip side however, eating too many carrots can turn your skin orange. It won’t be as orange as a carrot, but there will be a slightly yellowish-orange hue on the skin (more noticeable on your palms and soles). This effect is called Carotenemia. The key is to maintain a balanced diet and eat foods which contain Vitamin A. Such orange coloured foods include yams, mangos, apricots, and cantaloupes. Vitamin A can also be found in other types of foods and drinks such as milk, liver, and egg yolks. 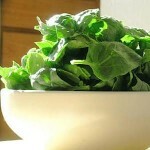 Spinach is rich in Lutein. Not only do carrots contain Vitamin A, but they also contain Lutein. Lutein is an anti-oxidant which promotes eye health and can lower the risk of macular degeneration. Foods rich in Lutein include green leafy vegetables such as spinach, kale, bok choy, and Swiss chard. 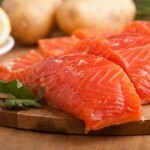 Salmon is rich in Omega 3 fatty acids. Aside from carrots, eating fatty fish (which are rich in omega-3) can also help protect the eyes against macular degeneration. Such foods include: tuna, salmon, mackerel, and trout. For those who are vegetarians or don’t eat seafood, an alternative option is to take omega-3 supplements which are readily available over the counter at any retailer which sells health supplements. While eating carrots won’t give you improved visual acuity and perfect vision, it will help combat eye diseases which can eventually deteriorate your vision. Always remember, eating a balanced diet of super foods can improve not only eye health but also overall health! For more information on which foods you should be eating to protect and improve your eye health, be sure to ask one of our Optometrists.